The Legal Services Board’s vision for the future of legal regulation reflects the build-up of years of frustration. Frustration at an illogical system where anyone can write a will, administer an estate or provide employment law advice, but only lawyers can do conveyancing as it is a reserved legal activity. And the reason for that? 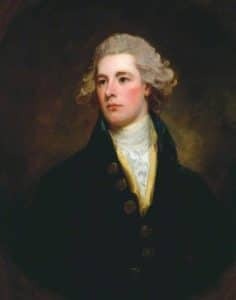 Because in 1804 Prime Minister William Pitt the Younger wanted to raise taxes on articles of clerkship and practising fees, and offered lawyers a conveyancing monopoly as compensation. Frustration at a system where by dint of a lawyer being regulated to conduct the six reserved activities, the non-reserved elements of their work are regulated to a high level as well, with the additional cost that entails, even though they don’t need to be. For many firms, not least the big beasts of the City, unreserved work is most of what they do. Frustration at the patchwork of regulators, from the Solicitors Regulation Authority and its 130,000-strong community, to the Costs Lawyer Standards Board, which oversees around 600. Yet both of those regulate some of the same activities, such as advocacy and the conduct of litigation. Frustration at what it perceives to be the protectionist instincts of some of the representative bodies which remain, from a statutory point of view at least, the regulators of the profession. And frustration at the years of draining argument between those regulators and representative bodies in some cases, and worrying over-familiarity in others. And so, with the help of Professor Stephen Mayson, the LSB has evolved the blueprint laid out almost three years ago to the day by previous chairman David Edmonds, to the ‘vision’ document published this morning. It is worth noting that while his successor, Sir Michael Pitt, started off by cooling talk of a single regulator, that is still where he has ended up. But the single regulator – while the most eye-catching recommendation – is not the most important. Who regulates is less important than what they regulate. This is what will reshape the legal market. I have been banging on about the reserved legal activities from the start of Legal Futures more than six years ago because it goes to the heart of the issues with regulation. Take the Law Society’s current fury with the Solicitors Regulation Authority’s proposal that practising solicitors should be allowed to work from unregulated bodies and offer advice to third parties (rather than just their employer). Non-practising solicitors can and do so already; they just can’t undertake those few reserved activities or call themselves solicitors. So is the fury really justified? As things stand, wouldn’t the public actually be better off if such people were regulated? If only one part of this plan ever sees the light of day, I hope that it is the fundamental review of what should and should not be regulated, and to what extent. Arguably we could end up with lumpy looking regulation – as the paper suggests, for example, different parts of family law may need different levels of regulation, but then we have that now. Advice that is regulated when it is provided to a small business may not be when given to a multi-national corporation. Or maybe all legal advice should be regulated. Whatever the outcome, at least there would be a proper rationale behind it. This work presages an overall shift to activity regulation – regulating people for the work they do, not the professional title they have. We’ve been moving this way for some time, whether through licensed conveyancers, patent and trade mark attorneys, costs lawyers, or more recently CILEx Regulation being able to authorise both chartered legal executives and anyone else who meets the criteria to practise specific reserved activities. This wouldn’t mean an end to lawyers as we know them. Those big City firms, for example, would likely still be bound by the ‘professional principles’ – around duty to the court, confidentiality, conflicts of interest and the like – but it may be that for much of the transactional work they do, they would not need further regulation beyond that. But in some areas, such as litigation, they might. Nonetheless, this is likely to lead to an even more variegated group of professionals (not necessarily legal professionals, as we already have accountants offering reserved probate work), but there should still be a place for broader ‘brands’ like solicitor and barrister. So does this undermine what we recognise now as the legal profession and the legal market? In short, yes it does, but that doesn’t automatically make it wrong. Many will argue that the profession and the market are fine as they are. That the legal market has worked for more than two centuries and is not so broken that it needs this much fixing – things may not be perfect, but there’s no market failure. Income and exports continue to rise. Surveys show clients are generally satisfied with their lawyers, the Legal Ombudsman has never received the number of complaints it expected at the start, and there are more than 10,000 law firms and around 1,000 alternative business structures in all, meaning there’s plenty of competition. I have sympathy with this. But at the same time the tensions inherent in the Clementi ‘compromise’ have been evident from the start – indeed, they breathed life into Legal Futures – and it replaced one alphabet soup of legal bodies with another. Frankly, the LSB’s plan is the logical conclusion of the journey started by Sir David Clementi. The evidence shows that the market is not working as it should (and legal services are a market). That’s what the Competition and Markets Authority said in its interim report in July, with lack of transparency over price and service the main problem. Competition is not just a numbers game – it’s the quality of competition that counts. Earlier in July, in its triennial review of the Legal Services Act, the LSB also highlighted the “continued scale of unmet legal need” (the biggest issue facing the market, in my view) and that there was little evidence of the type of change in market outcomes – price, quality and access – associated with changes in competition. Yet lawyers should not be treated like any other business, the argument goes. They have unique qualities that require protection, most of all their duty to uphold the rule of law, as well as those professional principles. This, of course, is why they are and should continue to be regulated – it’s not an entirely economic argument. But equally it is not a blank cheque. Like so many things in the UK, the legal profession has grown in a higgledy piggledy fashion, influenced by centuries of history and tradition. We muddle on as best we can and generally make a decent fist of it. That’s what we Brits do. But while we may not be on the precipice of disaster, that will no longer do. It is time to bring order to regulatory chaos.